In existence since 1981, Cookin' is the holy grail of vintage cookware, catering to esteemed Bay Area chefs as well as budget-conscious home cooks. 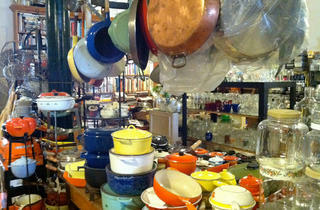 Owner Judy Kaminsky collects much of her store's stash in the flea markets of France and supplements the Parisian wares at thrift stores and estate sales around the Bay Area. 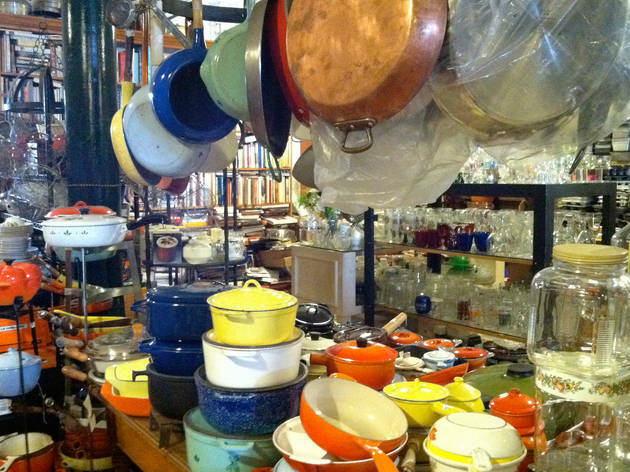 The assortment includes cast-iron pots and pans (including colorful enameled pots and Dutch ovens by Le Creuset), kitschy cake stands and baking accessories, barware, servers and dishes. It's akin to a more storied, less sterile Sur la Table. You'd be hard-pressed to name a kitchen tool that you can't find here, though you may need to do some delicate digging to find it. Though Kaminsky, who lives upstairs and often mans the register, may come off more cranky than charming, regulars consider her a local legend.